This example shows how you can use Curio for content that changes daily (or as often as you like). Over the map of the Christchurch Botanic Gardens, there are several highlights showing visitors what's blooming in the gardens today, special events and even new special guests to visit. 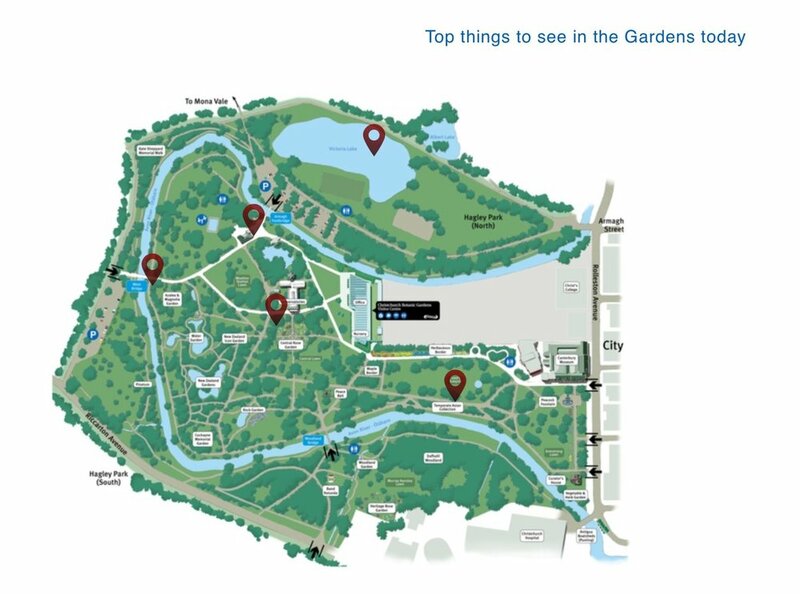 The visitor can zoom right in on the map and discover highlights all around the Gardens today. This can include everything from where the Teddy Bears' picnic is, to insightful commentary from the curators on particular specimens that are of historic interest in the park.